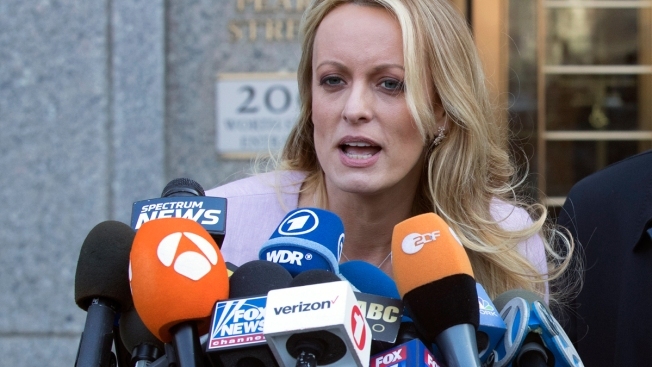 Adult film actress Stormy Daniels speaks outside federal court, Monday, April 16, 2018, in New York. Stormy Daniels says in a new lawsuit that her former lawyer betrayed her and became a "puppet" for President Donald Trump and his personal lawyer while representing her, NBC News reported. The filing in Los Angeles Superior Court on Wednesday alleges that Beverly Hills lawyer Keith Davidson "hatched a plan" and "colluded" with Trump attorney Michael Cohen to get the adult film actress to go on Fox News a few months ago and falsely deny she had an affair with Trump. Cohen referred to Davidson as "pal" in one text message cited in the complaint. Daniels' attorney is now Michael Avenatti. The lawsuit against Davidson and Cohen also claims that Trump was aware the two attorneys were communicating and coordinating for his benefit. A lawyer for Cohen, Brent Blakely, said in a statement to NBC that the lawsuit "has no merit" and is "yet another publicity stunt." A spokesman for Davidson called the lawsuit "frivolous," adding, "Thankfully, the truth can now finally come out to rebut the false narrative about Attorney Davidson that Mr. Avenatti has been pushing in his more than 175 television appearances and countless other media interviews." 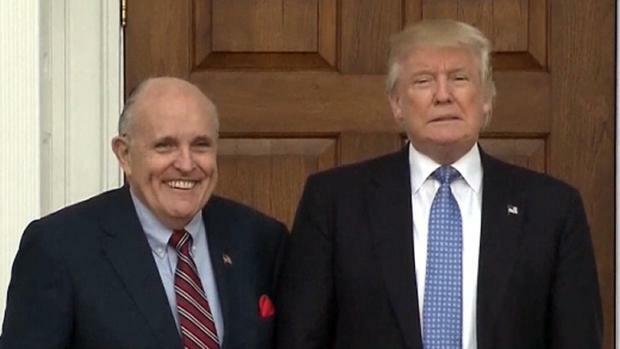 An attorney for Trump did not immediately respond to an inquiry about the lawsuit. The White House has previously denied that Trump had an affair with Daniels, whose legal name is Stephanie Clifford.